If your order weighs less than 13 ounces, save huge on shipping with USPS first class (with tracking number). This product weighs 23 oz. Nature’s Sunshine Liquid Calcium is made up of calcium, magnesium, vitamin D, and zinc. Liquid Calcium helps promote bone health, maintain balanced pH levels, and supports bone tissue. 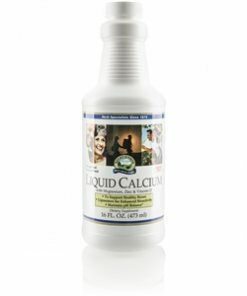 The nutrients found in Liquid Calcium are an essential part of a healthy lifestyle. Instructions: Adults: Take one tablespoon with a meal twice daily. Children: Take one tablespoon with one meal daily. Vitamin D (cholecalciferol) 200 IU at time of manufacture, filtered water, fructose, glycerin, natural flavors, xanthan gum, hydroxylated lecithin from soy, potassium sorbate (as preservative), and sodium benzoate (as preservative).